Better known for its range of quality home cinema speakers, Crystal Audio is now tackling the burgeoning multimedia-playback market with a diddy little player that occupies much the same volume as the plug that powers it. Of course, the diminutive size of this solidly-built aluminum enclosure restricts connectivity, although the essentials are there. First and foremost is the HDMI output, which is necessary for hi-def. The PicoHD5.1 is alas so lightweight that unless it’s held down by a heavy object, the weight of the average HDMI cable is enough to displace it. There’s also a 3.5mm jack that, by default, supplies composite video and stereo sound to a standard-definition TV. 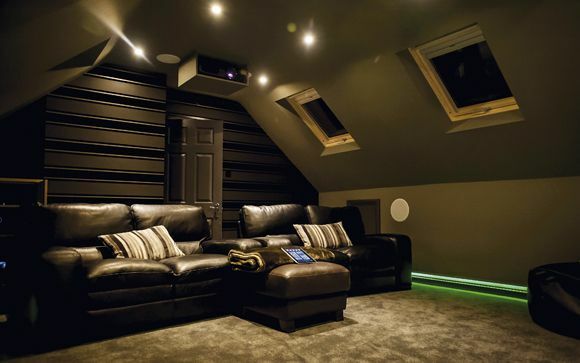 With appropriate configuration, coaxial digital audio is available as an alternative to analogue. High-bitrate soundtracks, such as Dolby TrueHD, aren’t supported by the PicoHD5.1, but it worked faultlessly with the Dolby Digital and DTS streams of my test DVD ‘rips’, though. This player isn’t designed with networks in mind. To get compatible multimedia files into the device, you’ll need a USB storage device (HDD or solid-state) or SD/MMC memory-card. The necessary ports live on the miniscule front panel, alongside the infra-red sensor. In keeping with the PicoHD5.1’s minimalistic design, the comparatively enormous non-backlit remote whose commands it receives is sprinked with a basic collection of controls. Other buttons are provided for photo zoom/rotate, aspect ratio, AV output mode, subtitles, setup and repeat. They have a pleasant tactile feel, and are accompanied by a metallic ‘click’ (which can be turned off). A useful home button takes you to the main menu, which includes the basic photo, movies and music categories and an Explore function. A handy feature of the PicoHD5.1 is that memory cards and USB devices can be connected simultaneously; when browsing for material, you can choose between the two. A basic contents list is provided, with tiny photo thumbnails. Although its ‘no-frills’ design won’t give the likes of Apple much to worry about, the user interface is responsive. 50Hz and 60Hz video modes are offered, and so conversion judder need not be problematic. A 1080p24 mode is included, too. Media compatibility is good, all of the key codecs being taken in the PicoHD5.1’s stride; of my test media, only FLV (Flash) and M4A audio were denied playback. Video quality is mostly very good, certainly through HDMI; hi-def clips, in particular, stand out. Subtitles may be supported, but lip-sync is unpredictable – especially with MPEG-2 video – and, unless your AVR provides some means of adjustment, it cannot be corrected. Standard-def upscaling could be improved too; I occasionally noticed ‘hooking’ with off-air material when the most appropriate 1080p mode was selected. Music replay, as one might expect from an audio manufacturer, is excellent – especially from FLAC and WAV files. Photo playback is in crisp high-definition, and complemented by an adjustable slide-show mode. A choice of transitions is available, and you can play music in the background while you ogle your snaps. With its £50 price tag you’d be foolish to expect miracles from Crystal Acoustics palm-sized player, but what you do get is a simple-to-use and well-featured device that could be just what you need.